Producing blissful pop music is a piece of Cake, for some. 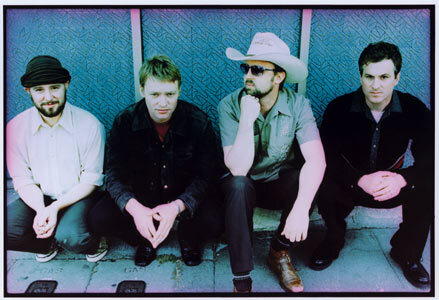 Ever since this subtle and seductive Sacramento based quartet whipped up a stirring and crafted self released debut album; ‘Motorcade of Generosity’ in 1994, Cake have sweetened the world with their coated and crisp music. Singer/songwriter John McCrea has always expressed his fervent disliking for what can be termed as the trappings of the industry; this includes working with renowned and respected producers and exhibitionistic guitar playing. However, what he does like and does very well is produce heartening and captivating music that touches the soul. The guys kindly agreed to mull over topics ranging from the role of politics in music to pop music in general. Q: You hail from Northern California, has where you come from dictated your style of music and how would you describe the Northern Californian music scene at the moment? How well do you fit in with it? A: We've always said we come from a dry and dusty place, and that might come through in the music. We are also working out of the state's capitol, Sacramento, which is a theater of the absurd but also sometimes a very poetic place. The music scene in Northern California is diverse. There are many bands, however, that understand the place that their music comes from. Q: In my humble opinion 'Pressure Chief' had a trickle of irony running through it like a stream through a country village, i.e., it was well placed. Do you think irony or dead pan wit has much of a part to play in modern music? A: Music is certainly a reflection of the way we all approach our world view or how we behave emotionally. Although there seems to be a tendency in music to express something pure, or untainted, there is also a place to express the middle ground of thought. This kind of writing might actually be more honest about the way life really feels. Sadness is often mixed with humor in real life. Q: You are about to embark on a European tour. How does your live sound differ from that on your records and how do you want to leave people feeling after witnessing a live Cake show? A: The live sound is different from the album because we are actually living the music as we perform it. We might actually sound like more of a "rock" band on stage, compared to the precise feel of a studio recording. The crowd should go away exhilarated, confused, and satisfied that they witnessed a genuine performance. Q: You have done a cover of the diamond of the disco era hit 'I Will Survive' in the past. Would you say this is your bands' motto and how have you kept going all these years in this turbulent music industry of ours? A: From the start we have appreciated our listeners. We kept a mailing list of people who had shown interest in us, and every month we stamped, addressed, and sent postcards to these people. We have continued that appreciation by providing what we believe is quality music, both in record and live performance. Q: What are your views on recent attempts by musicians to influence voters in the US Elections? Do you think there was a lack of conviction to some of the attempts (mentioning no names) and it was more bandwagon jumping than a serious desire to bring about change? Do you think music and politics should be kept separate? A: We talk politics with each other, so we feel compelled to discuss issues with our listeners through the website (www.cakemusic.com). Everyone seems to want to impress their point of view on others, and musicians are no different. Q: Which of your songs sum up your current mood and why? A: "Wheels" is probably the song that sums up our current mood. Basically, there is a lot of amazing things happening in the world, but still we are destined to go through the same paces that anyone, anywhere, ever has. These are incredibly interesting times, but we all still have the same basic needs that we always have. Q: What are your aims and plans for 2005? A: Cake plans to tour through the summer of 2005. We have a lot of international touring to look forward to, as well as performing at various festivals in the states. Q: Finally, if you could change one thing about the music industry what would it be and why? A: Music videos may have altered the course of popular music. To its detriment? We will never know. There does seem to be a lot of posturing involved though.